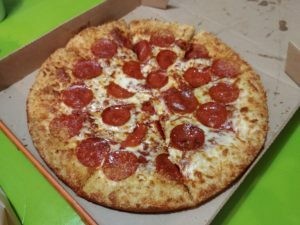 Little Caesar’s has been innovative with their pizzas, including their cheap and delicious Hot-N-Ready pizzas. Now, they have a new pizza! 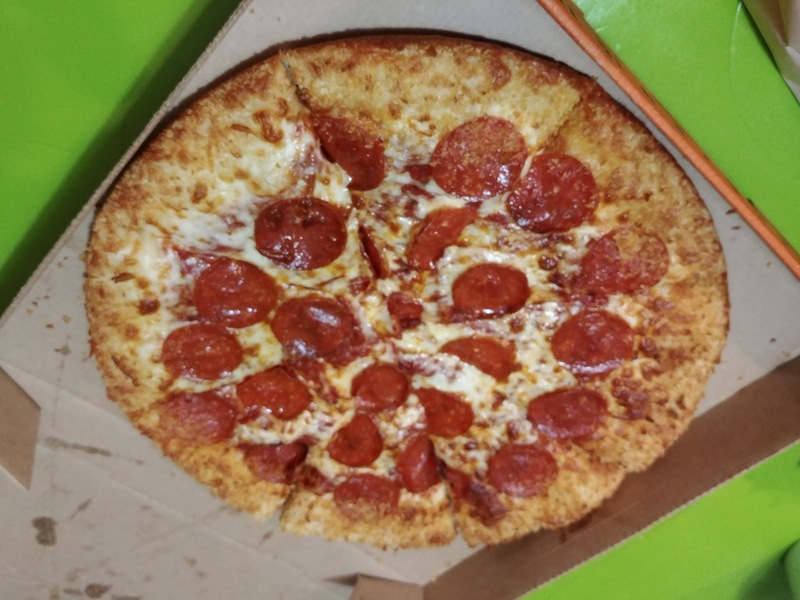 It is like their Hot-N-Ready pepperoni pizza, except this time they’ve made the crust hard with the Crazy Cruncher. The crust is made by sprinkling cheese on top of it before being baked. Then it is basted with a lot of butter to put more flavour into it, before being baked again. Finally, it is sprinkled with parmesan cheese to add that extra bit of delicious crunch. The parmesan cheese in the crust looks like panko breadcrumbs and reminds me of the texture of tonkatsu—both of which are crunchy and yummy. With all these ingredients together, the Crazy Cruncher has a very crunchy texture and the butter makes the crust taste like garlic bread. The pizza still has the delicious pepperoni and strong tomato taste in the sauce. I recommend eating it with Crazy Bread for the full cheese effect. The Crazy Cruncher is a thin-crust pizza, but it is still the same size as the other varieties of the Hot-N Ready family. However, expect a lot more flavour coming at you!